Luthier's sister awaits Shadows of Valentia players willing to undergo a tense battle. Fire Emblem Echoes: Shadows of Valentia players looking to get their hands on new heroes are spoiled for choice — the game features over 30 recruitable characters, each of which offering their own individual styles and combat abilities. The game's third act in particular gives players the chance to unlock both Luthier the mage as well as his sister Delthea, a fan-favorite hero and potent spellcaster. Be forewarned, though: recruiting Delthea requires players to carefully plan their way through a surprisingly tough battle. Players who want to recruit Delthea as well as her brother Luthier will get their chance in Act 3 when Alm and the party travels to the Forest Village outside Desaix's Fortress. 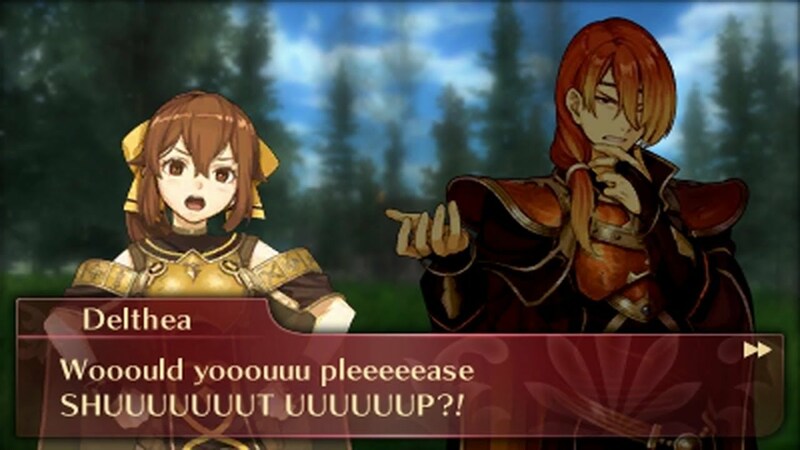 This is where the team will first meet Luthier, who will discuss his plight with the player: members of the Duma Faithful have captured Delthea, brainwashing her and using her powers toward their own evil ends. Luthier clearly needs a hero, and this is where Alm and his companions have a chance to shine. Players will find Delthea being held at the Forest Village's Sluice Gate North; however, springiner her from her bonds won't be easy. As soon as players get close, a battle commences, and players must be sure to win the battle without killing Delthea. It might seem simple enough, but Delthea has a few tricks up her sleeves, primarily a teleport ability that she can use to place herself anywhere on the battlefield. Many players have had success in taking Delthea down by charging toward the nearby boss Tatara, but this opens them up to attacks from Delthea. Fortunately, players will have recently acquired Alm's Subdue skill, which can be used to effectively silence Delthea while focusing on Tatara. Once Tatara has fallen, the spell cast on Delthea will be broken, and players can slip inside the Sluice Gate to recruit the powerful young mage. However, any player unlucky enough to have killed Delthea in the fray will find that she is lost forever, so it's best to make sure there's a fairly-recent save game available in the case that Delthea is accidently taken out. Fire Emblem Echoes: Shadows of Valentia is one of the hottest recent games to land on the Nintendo 3DS. To discover more great titles, hit up our list of the Best Nintendo 3DS Games.